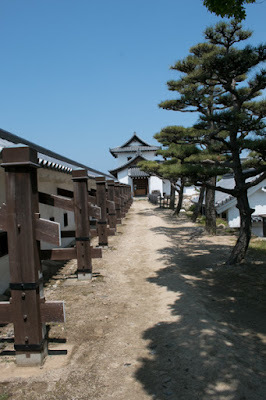 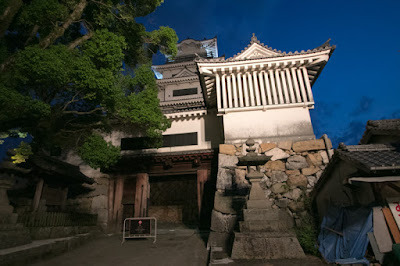 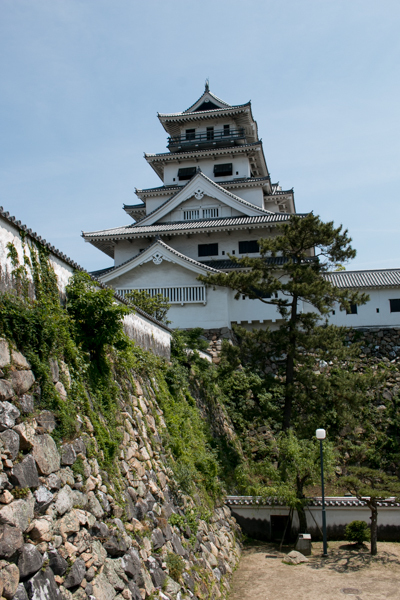 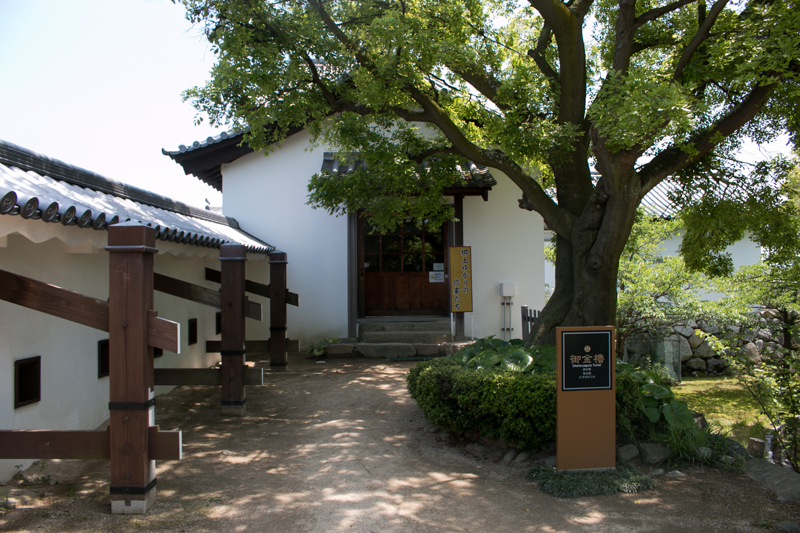 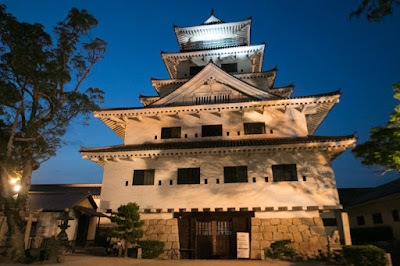 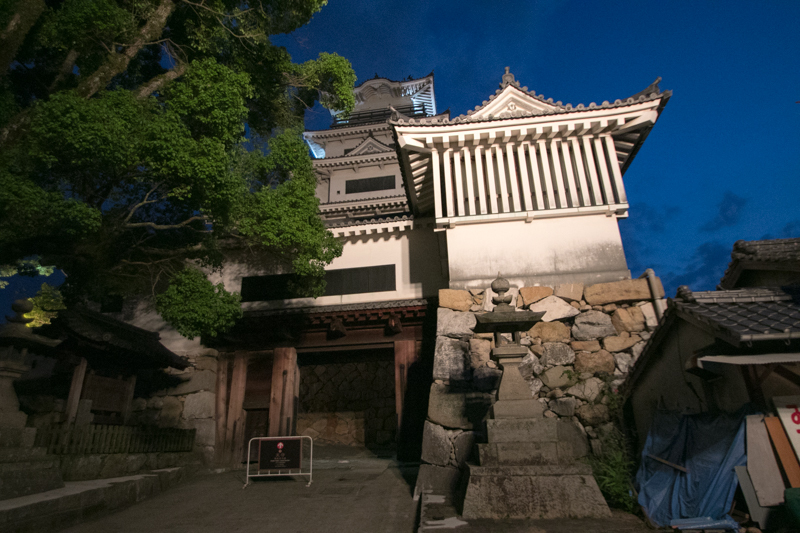 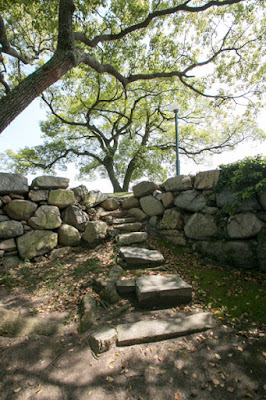 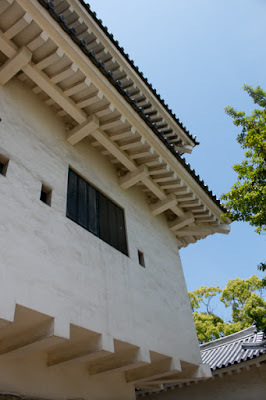 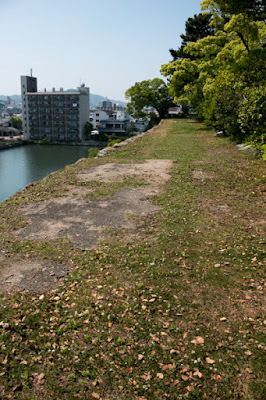 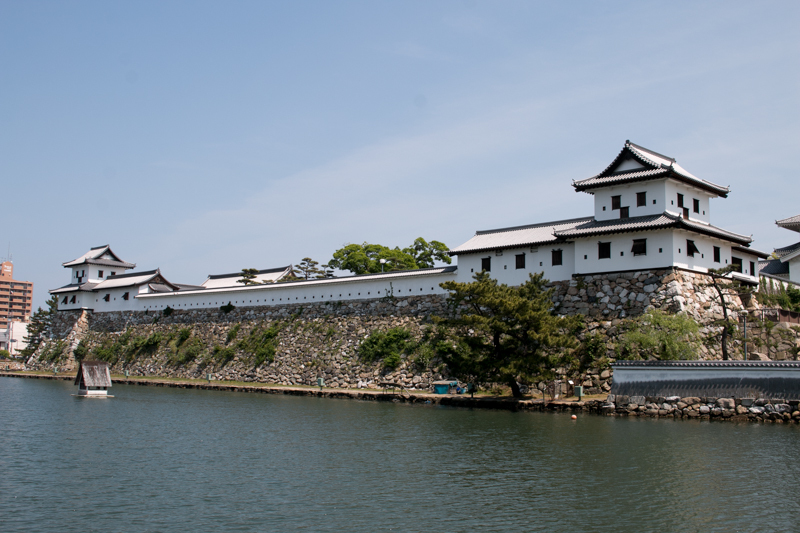 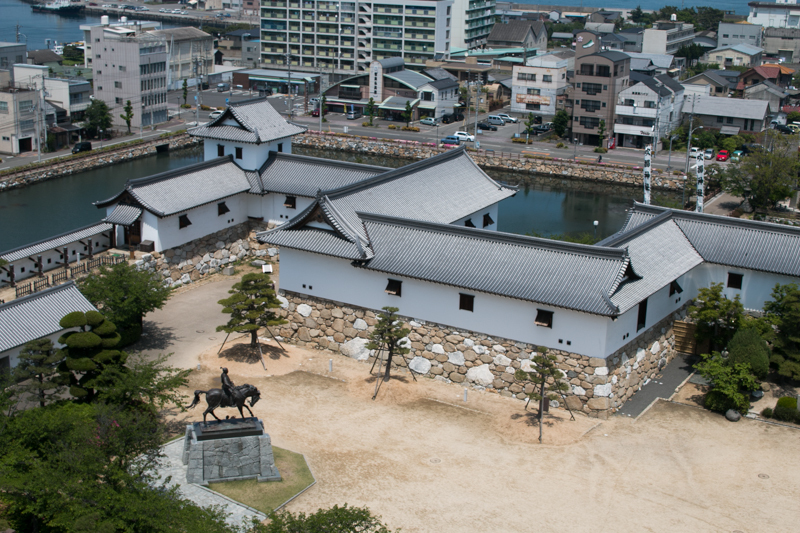 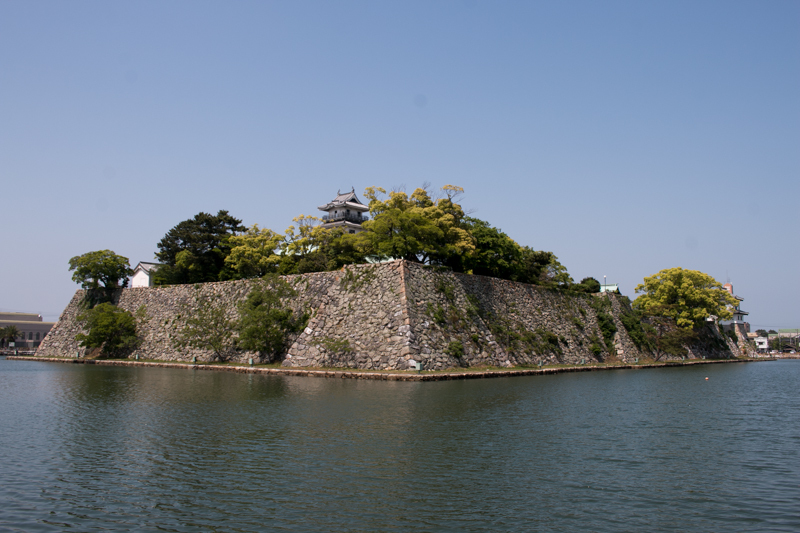 Imabari castle (今治城) is located in the center of Imabari city, at the north edge of Iyo country (Ehime prefecture). 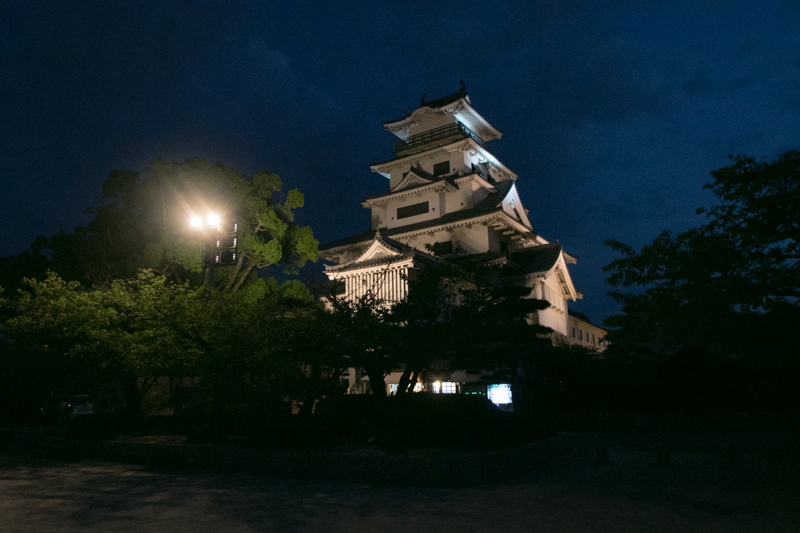 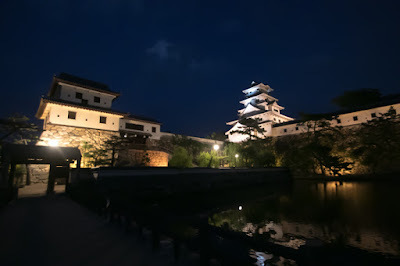 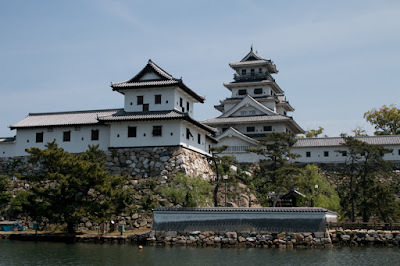 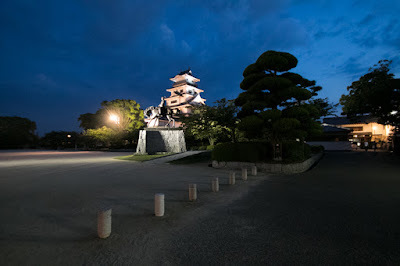 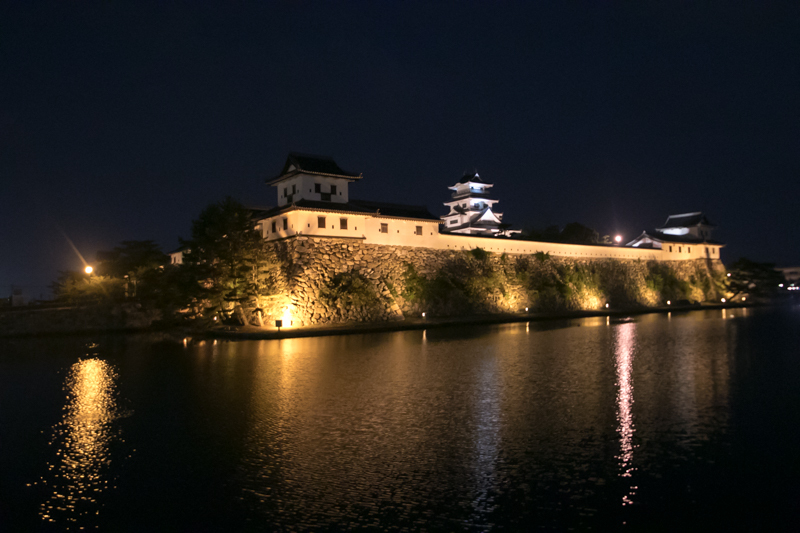 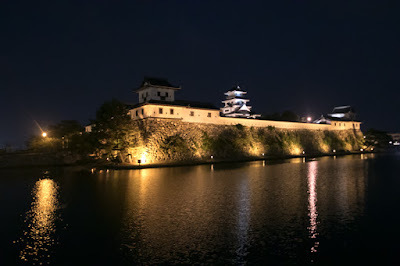 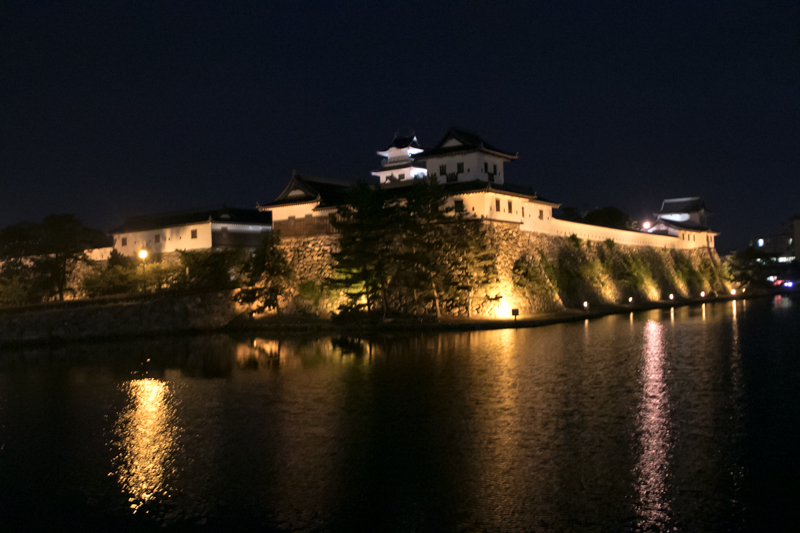 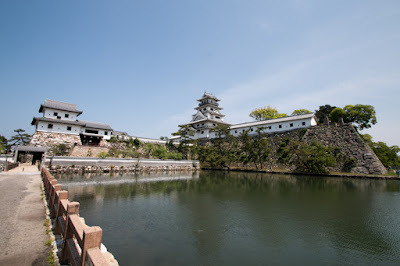 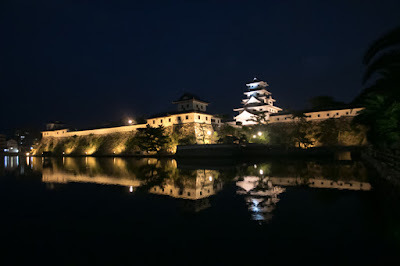 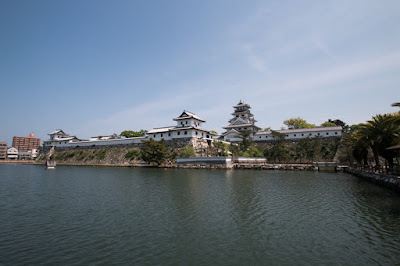 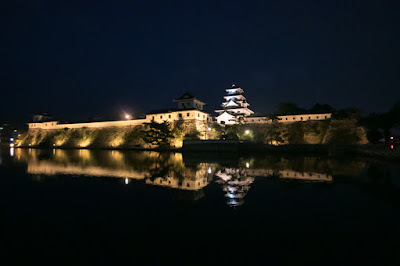 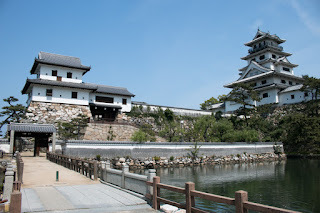 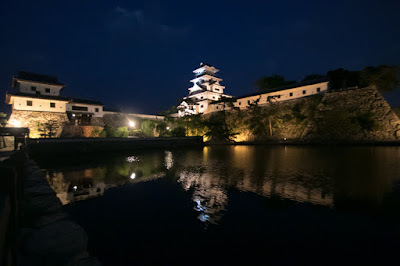 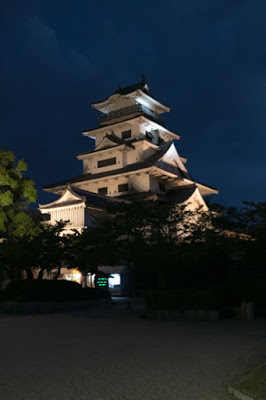 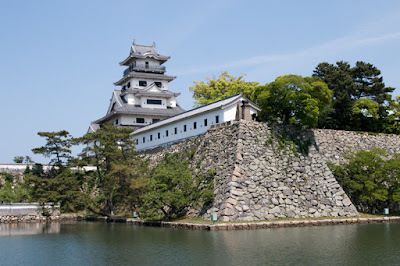 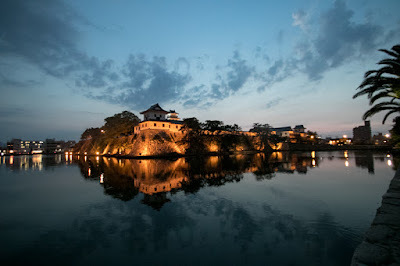 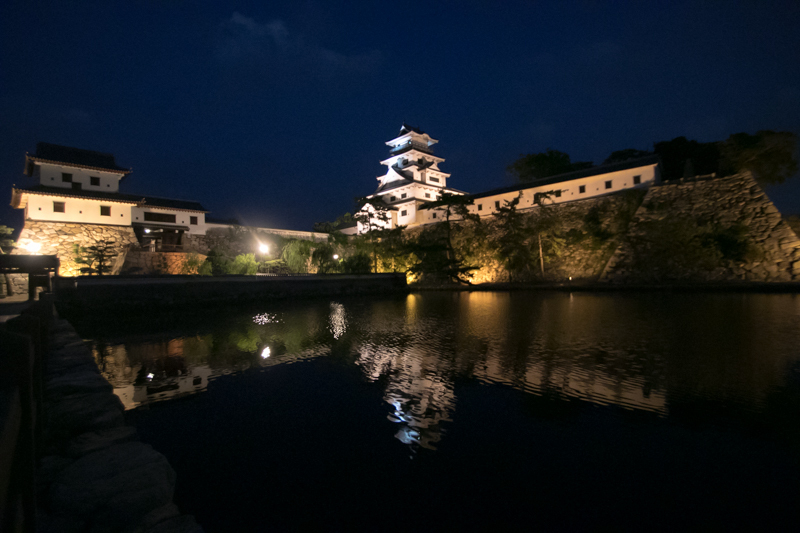 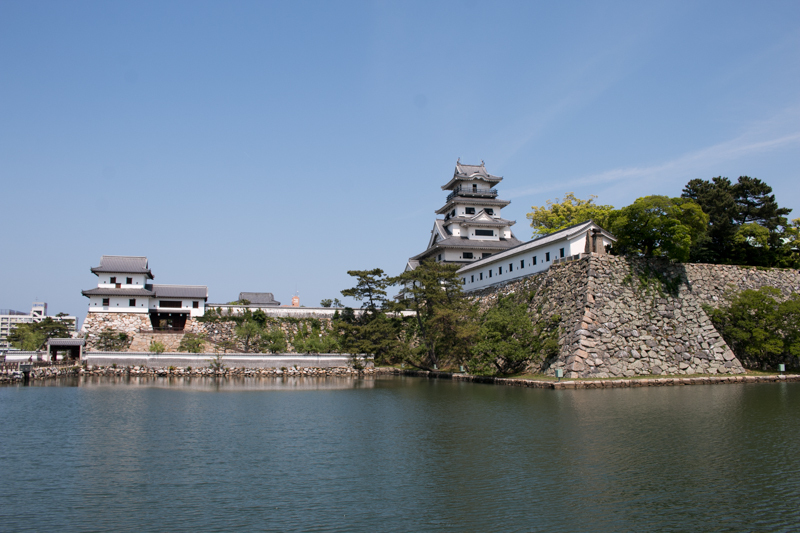 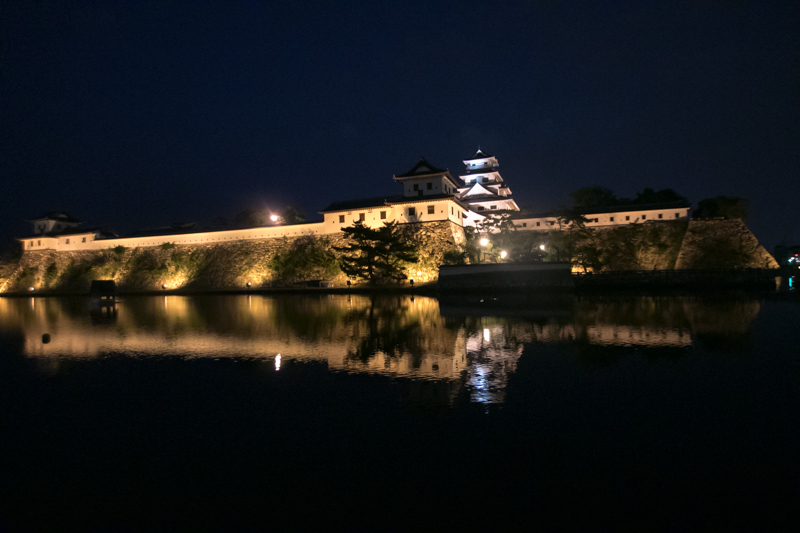 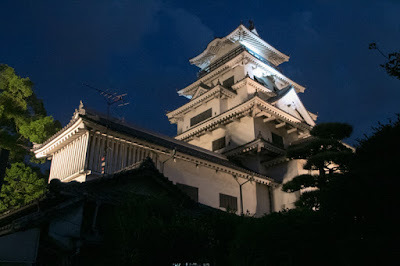 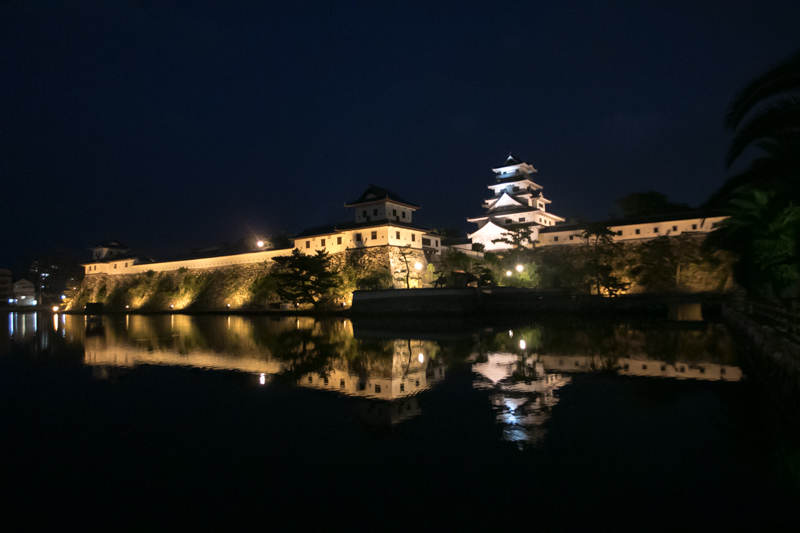 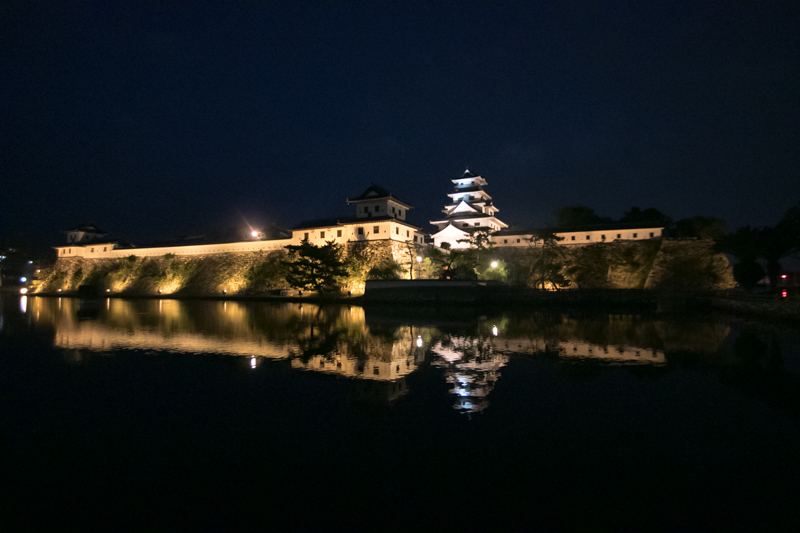 Facing Setonaikai sea, Imabari castle is regarded as one of three famous water castles along with Takamatsu castle (Kagawa prefecture) and Nakatsu castle (Oita prefecture). 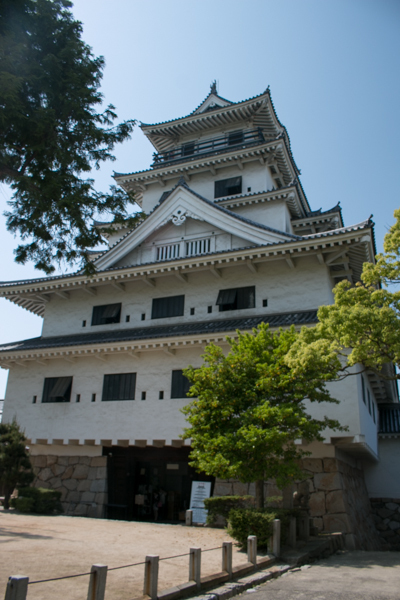 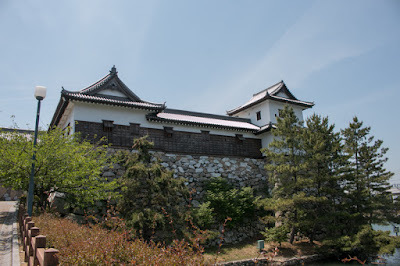 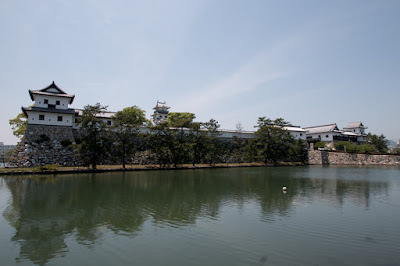 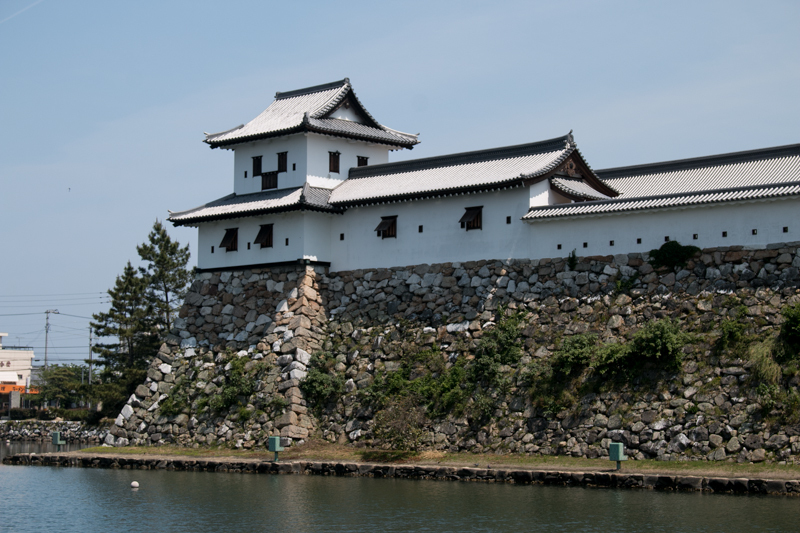 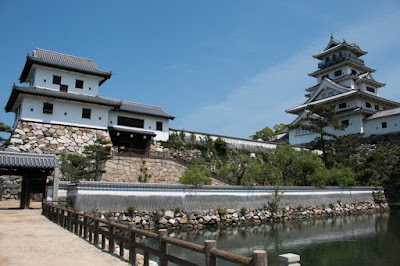 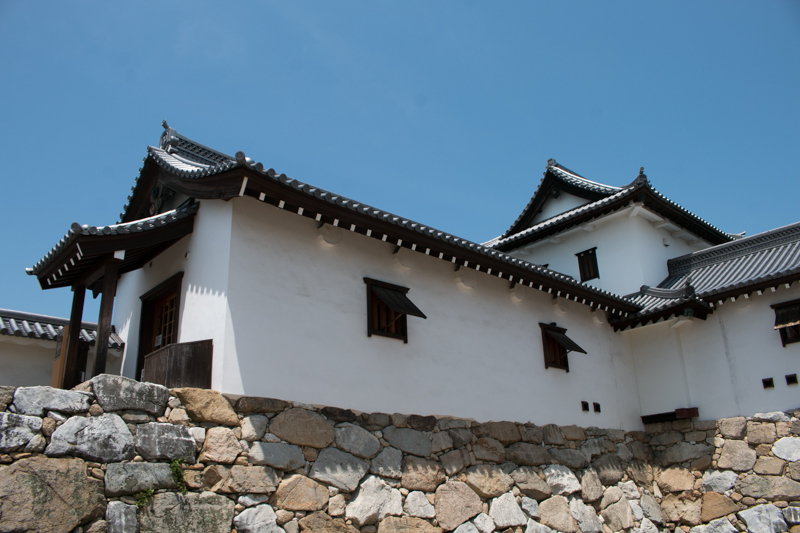 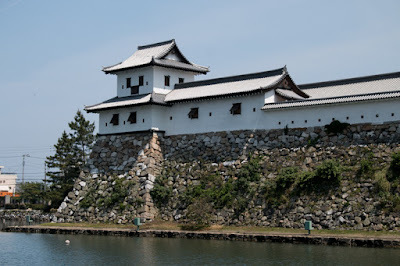 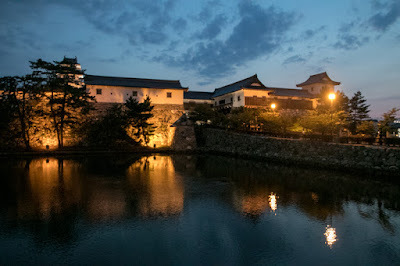 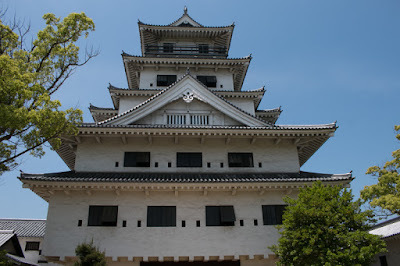 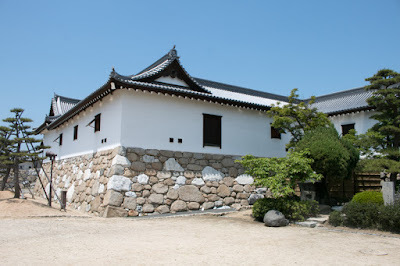 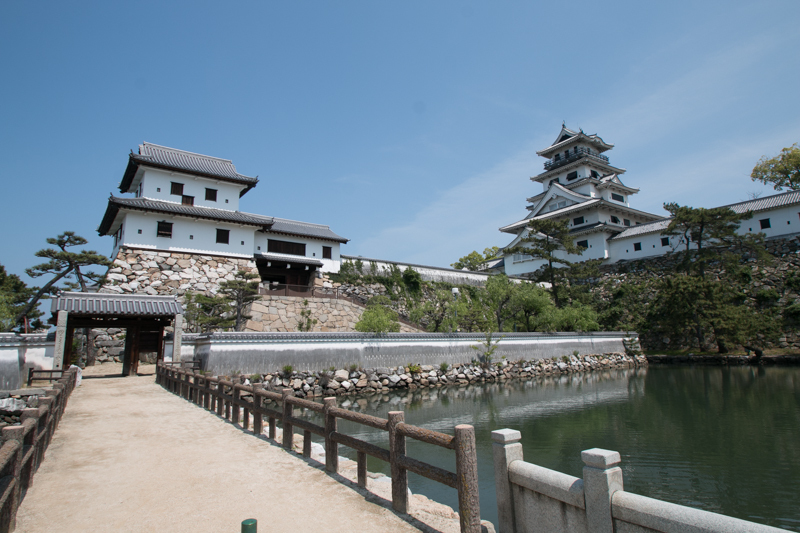 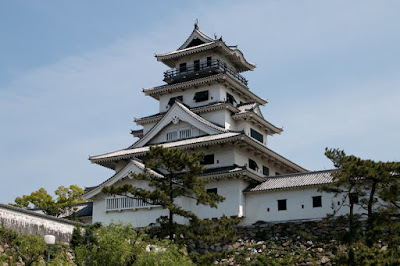 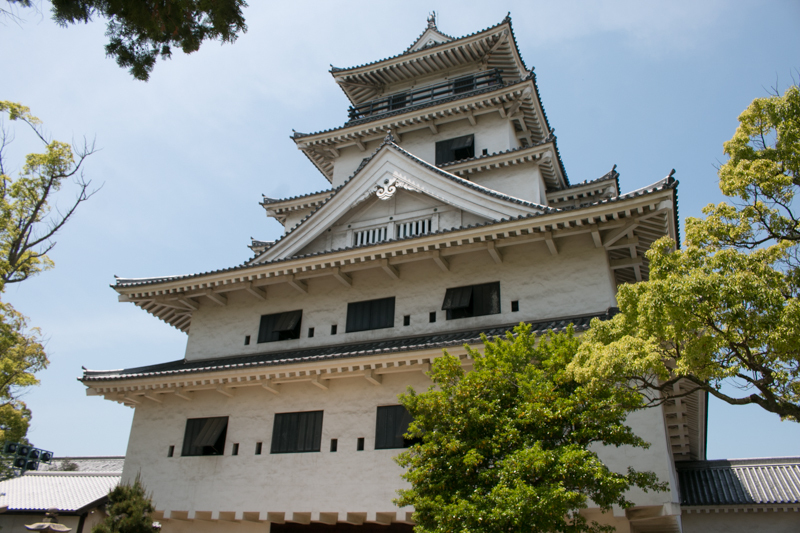 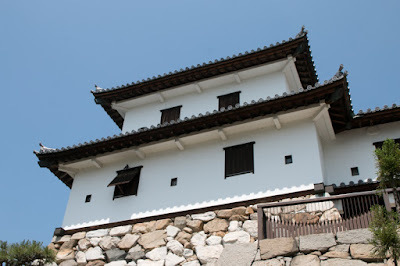 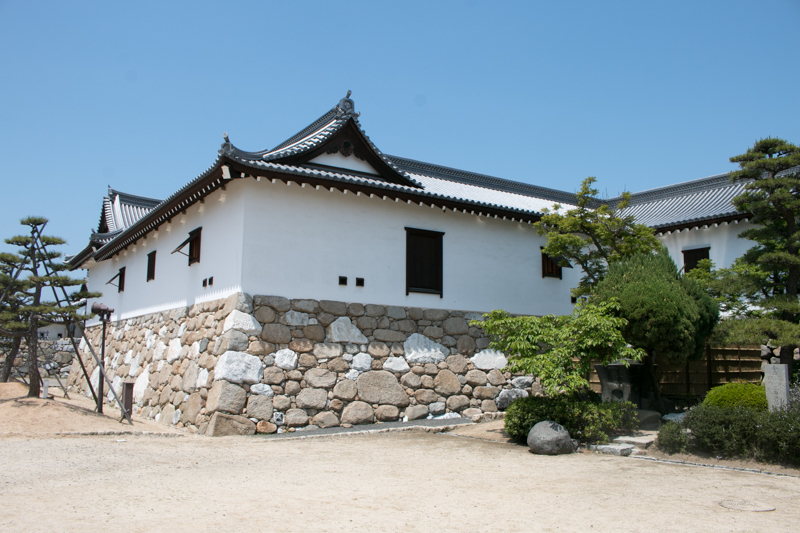 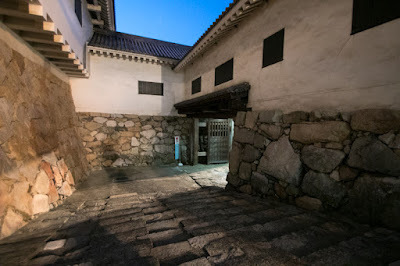 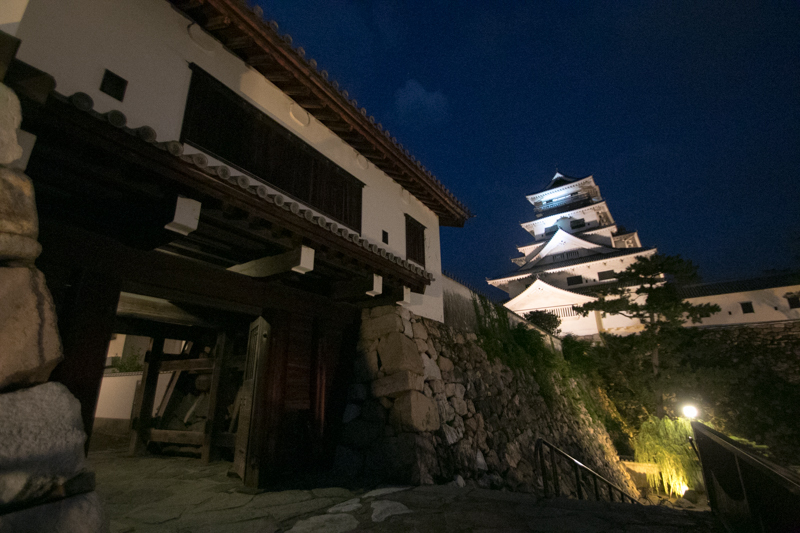 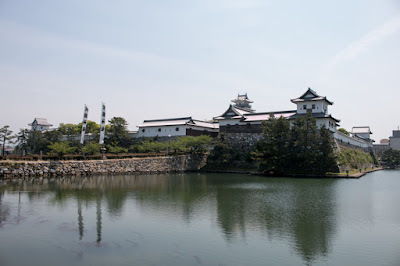 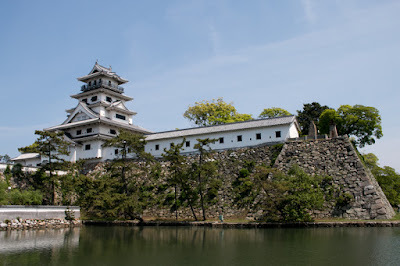 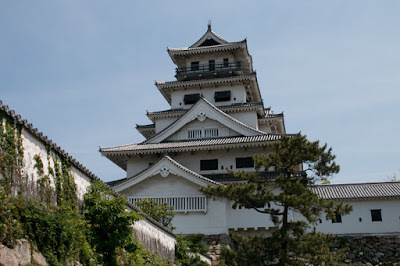 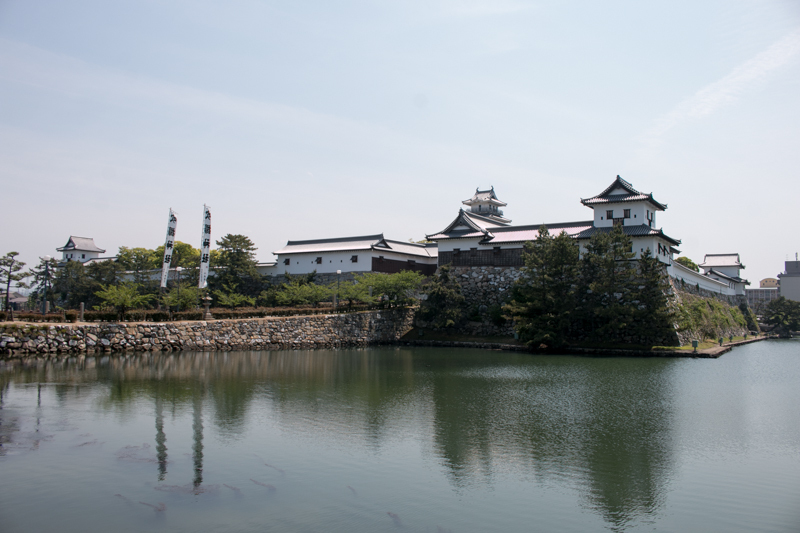 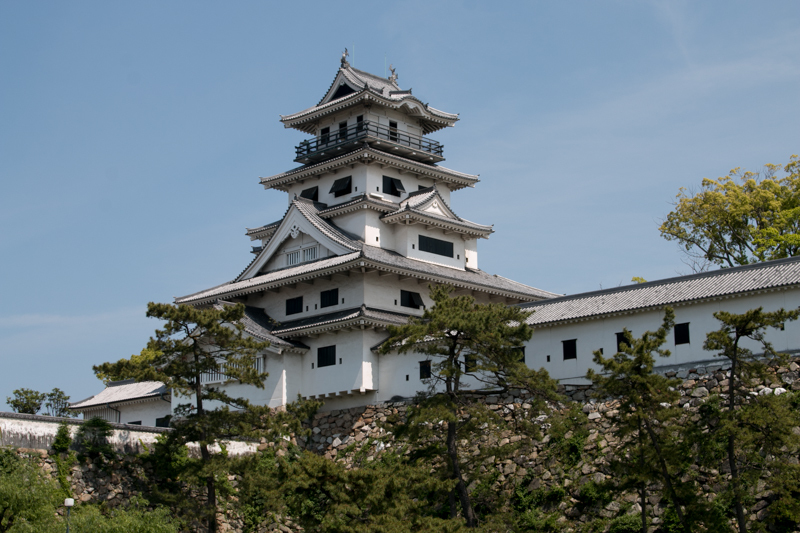 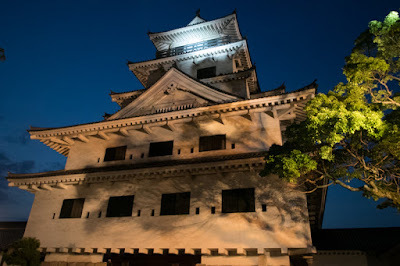 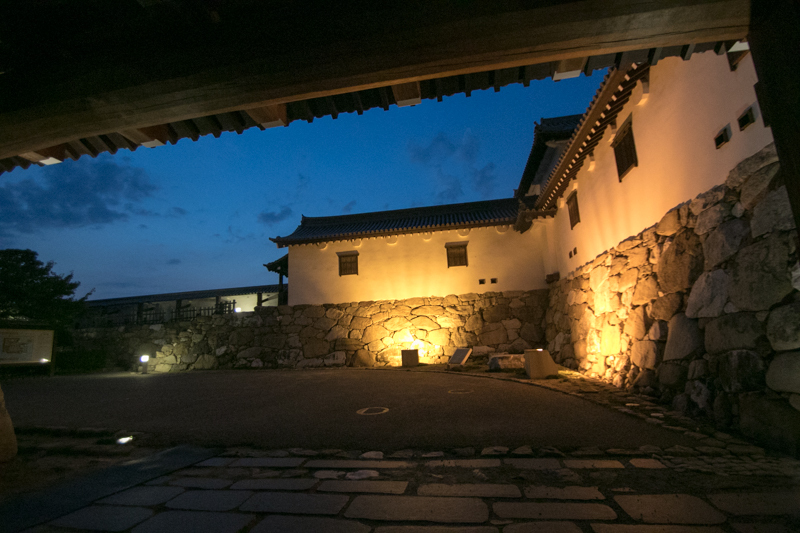 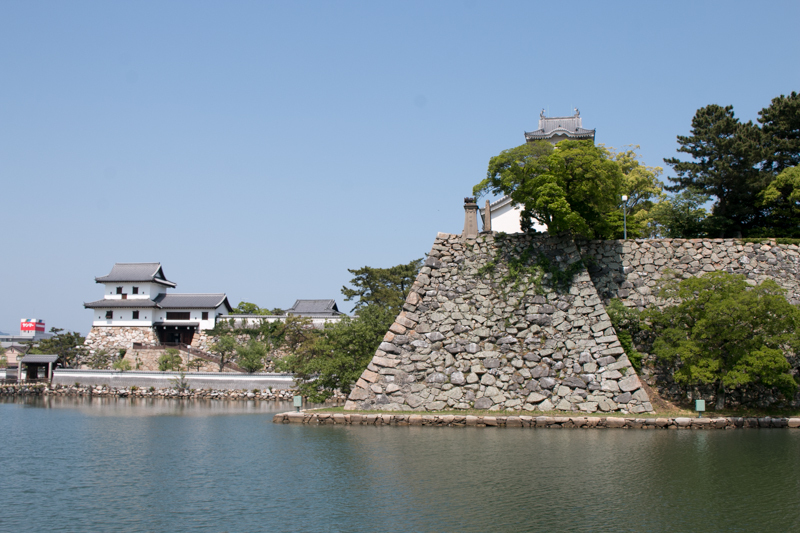 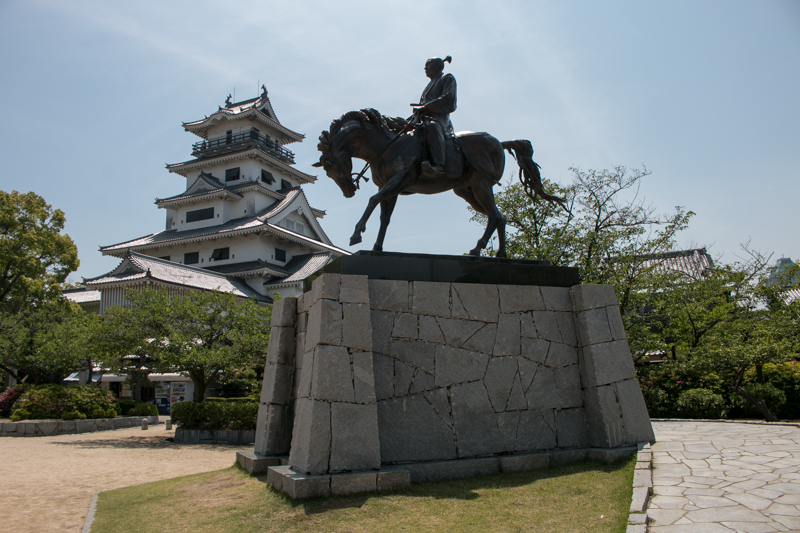 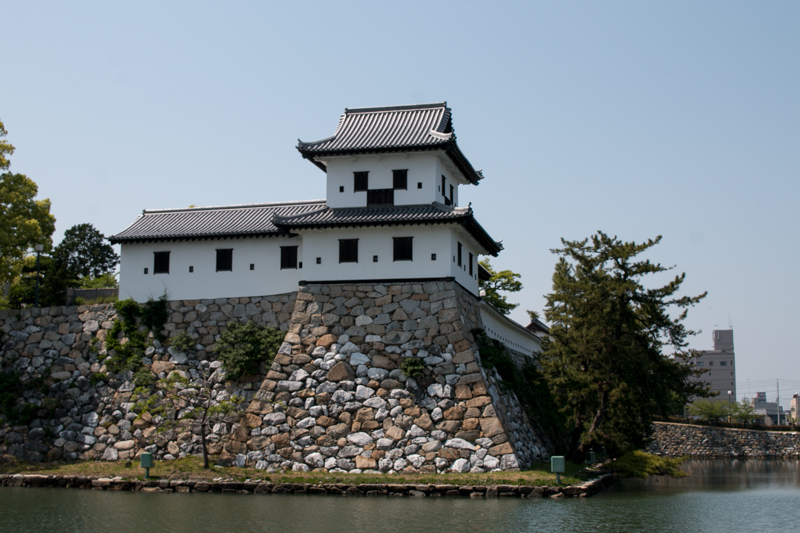 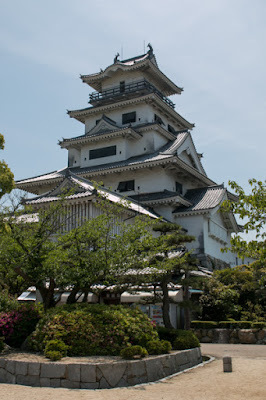 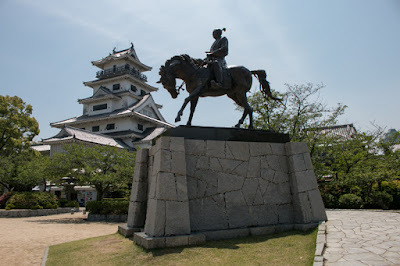 Imabari castle is also known as one of castles built by Takatora Todo (1556-1630), an excellent castle builder, such as Uwajima castle or Ozu castle in the same prefecture. 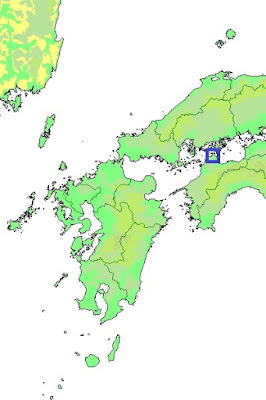 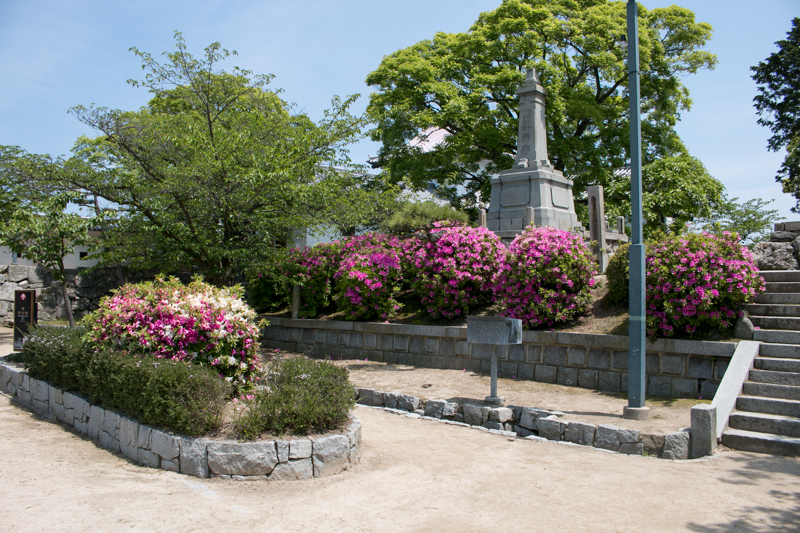 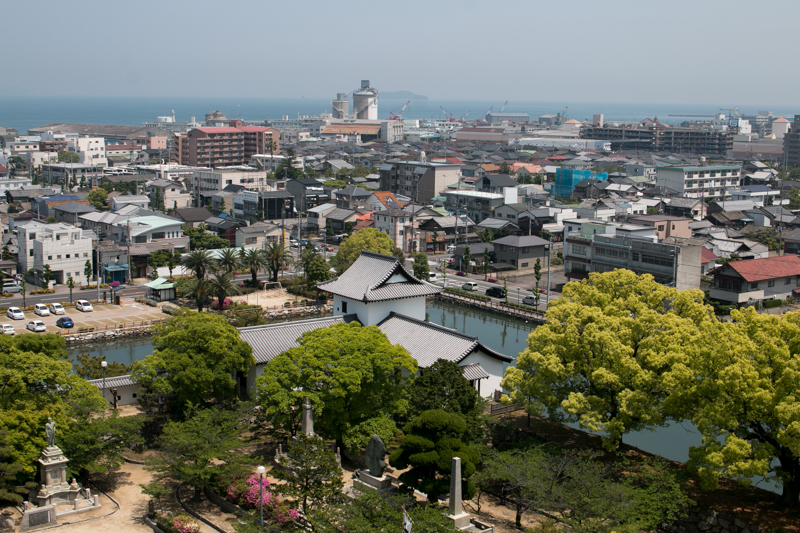 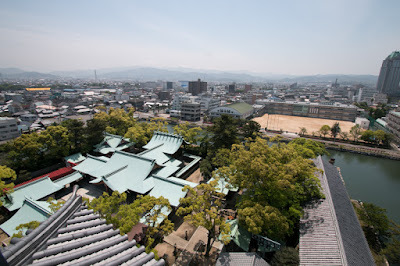 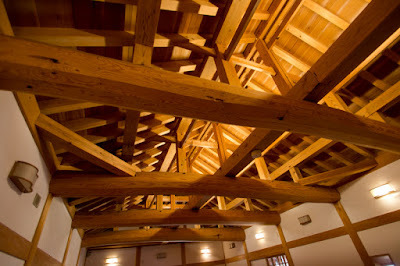 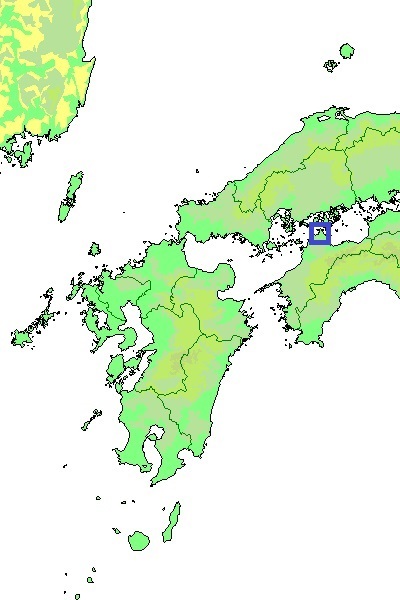 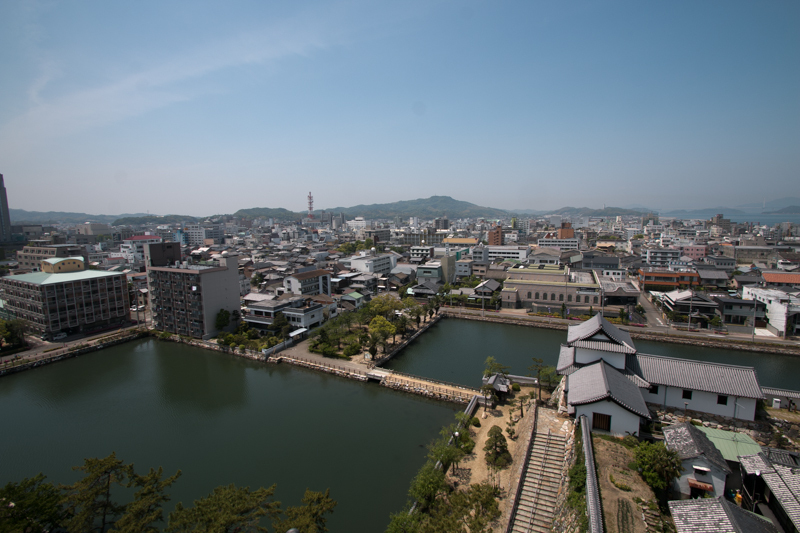 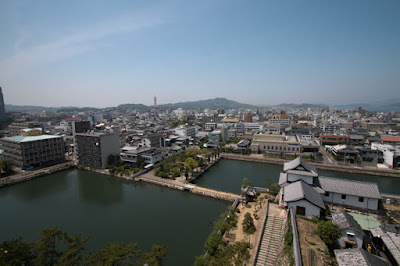 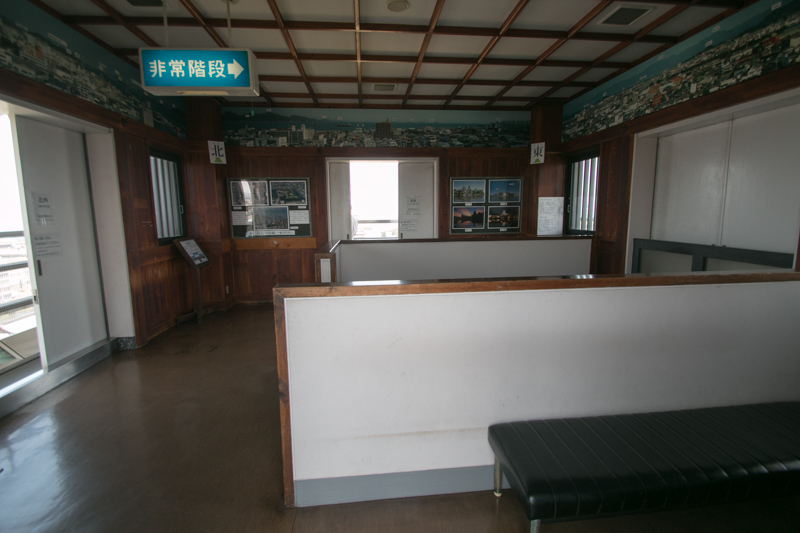 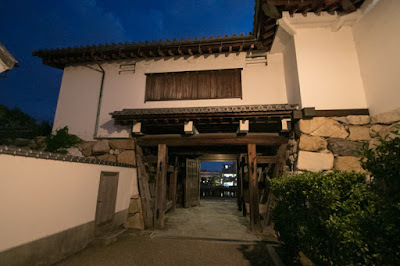 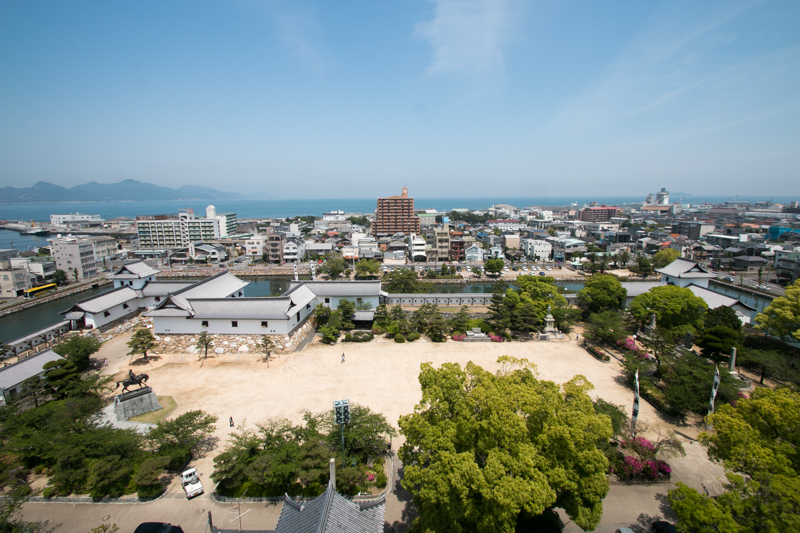 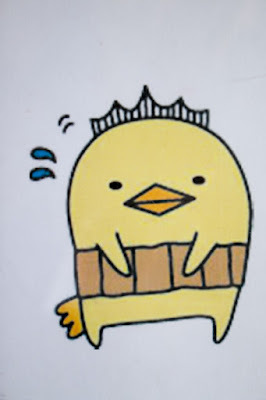 Imabari city historically has been a center of Iyo country, because it is located in Imabari plain and also a connecting point to Honshu mainland via Geibi islands between Shikoku island and mainland. 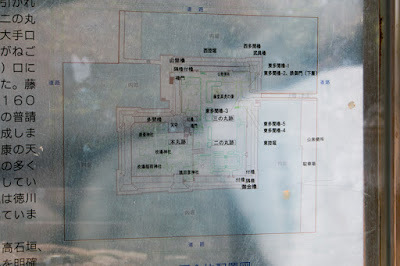 Around this area, most part Setonaikai sea are occupied by these island and ships had to pass the narrow straights between these islands. 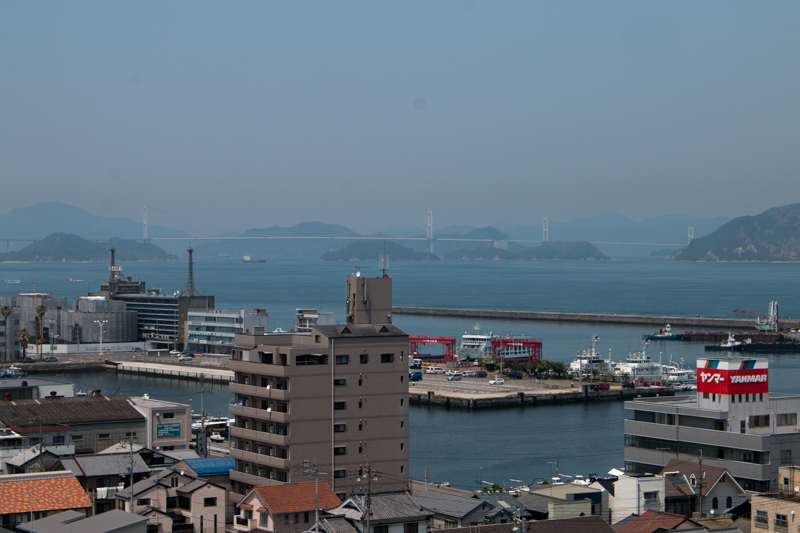 Among the complex tide and rocky straight, professional sailors grew in this area from ancient era. They engaged in shipping or guarding in peace time, but sometimes made military action such as revolt of Sumitomo Fujiwara in 10th century. 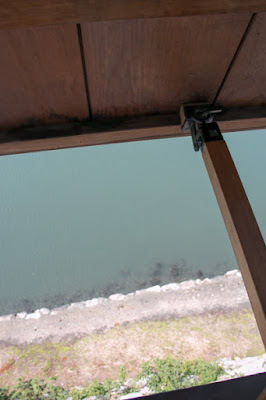 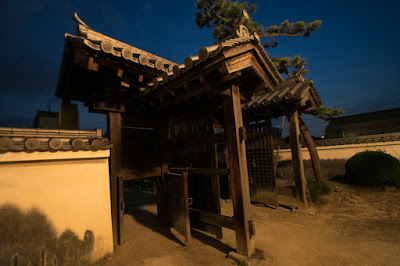 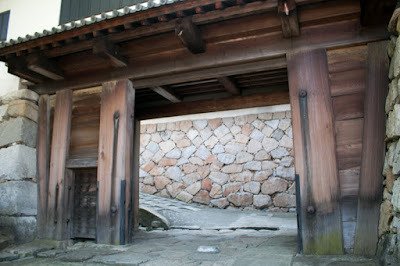 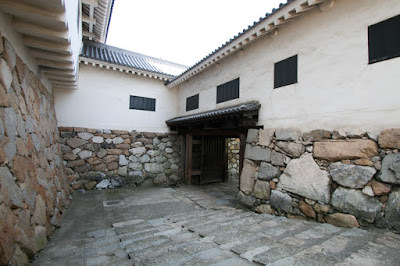 In the medieval era, Murakami clan, a strong sea clan, governed this area. They consisted of three branch families, it means Innoshima Murakami clan, Nojima Murakami clan and Kurushima Murakami clan from north. 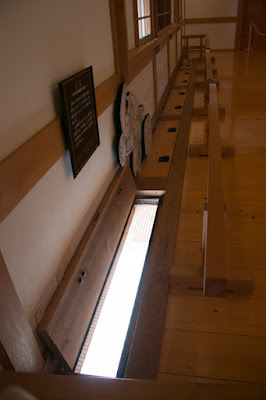 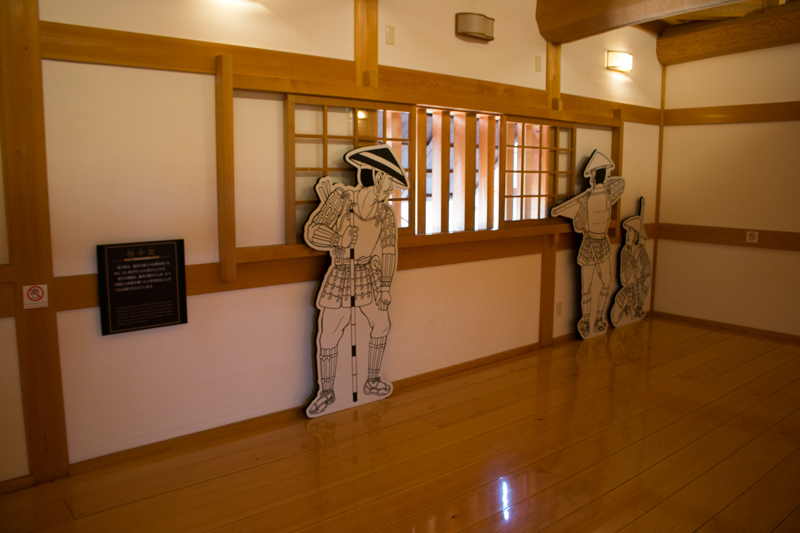 They collectively belonged to Mouri clan, a warlord of Aki country (Hiroshima prefecture), and contributed to the winning at the battle of Itsukushima island against Sue clan in 1555. They are sometimes expressed as pirates, but they scarcely assault other ships rather escorted passing ships with transportation fees or traded by themselves. Of course in the battles they engaged in supply transportation or actual military actions. 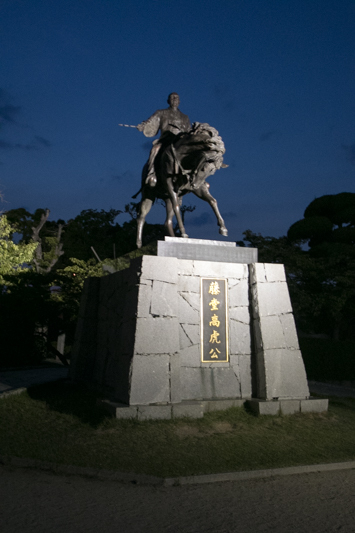 But at the end of Sengoku era, current ruler Hideyoshi Toyotomi (1537-1598) banned such independent activities of sea clans. 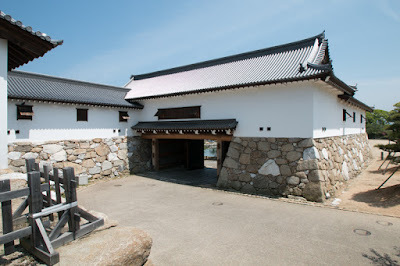 Innoshima and Nojima Murakami clan became naval commanders of Mouri clan, and Kurushima Murakami clan transformed into a feudal lord but was apart from sea. 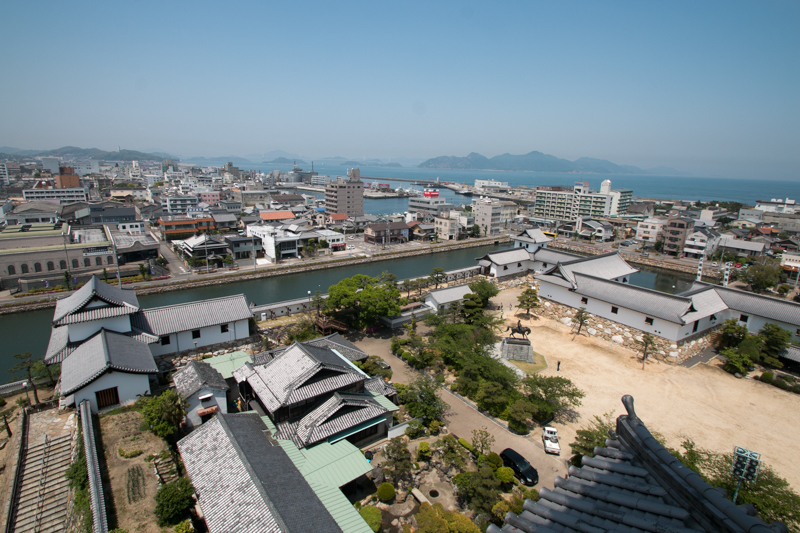 The era of independent sea clans became an end, but the long tradition of shipping continued in this area, and even now there exist many shipowners and shipbuilders in Imabari area. After the battle of Sekigahara, Takatora Todo was appointed as a governor of this castle by first shogun Ieyasu Tokugawa (1543-1616), expected to control sea lane of Setonaikai sea and restraint to Masanori Fukushima (1561-1623), a large lord promoted under Toyotomi clan placed at Hiroshima castle, opposite side of Setonaikai sea. 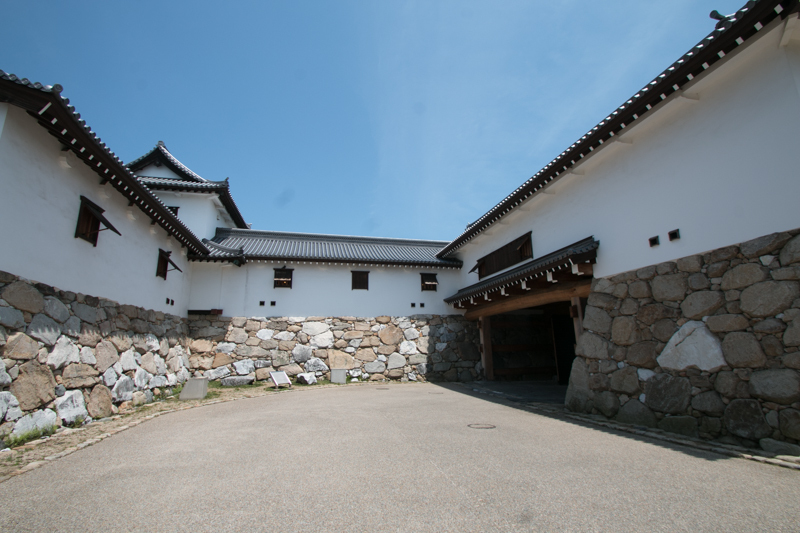 Takatora at first used Kokufu castle at several kilometer apart from Imabari, but Kokufu castle was on the mountain and inconvenient. 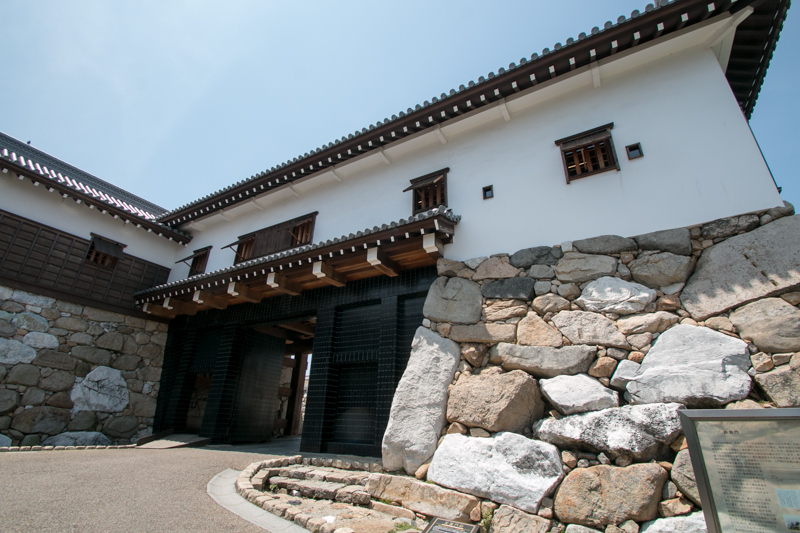 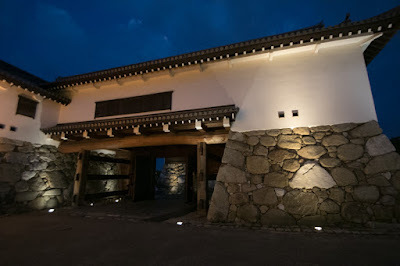 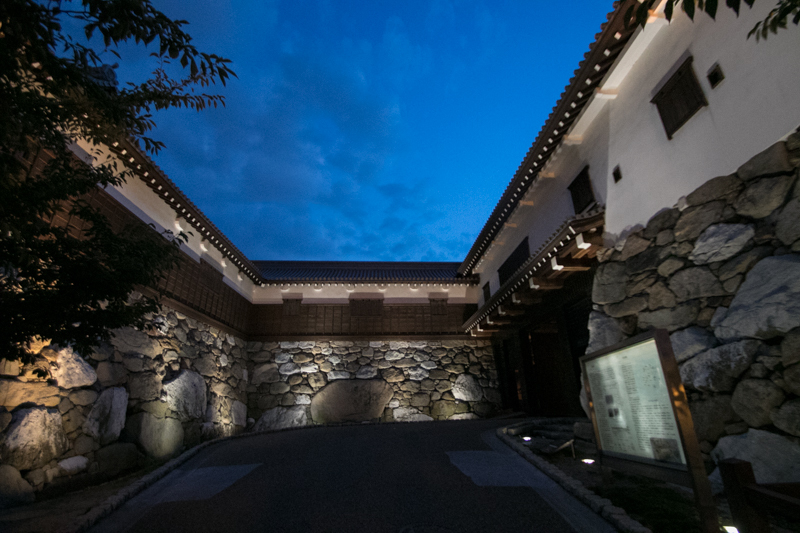 Takatora considered his task and decided to build a castle at seashore, then in 1602 he started construction and after six years the castle was completed. This castle had three layer of areas surrounded by water moats connected to the sea. 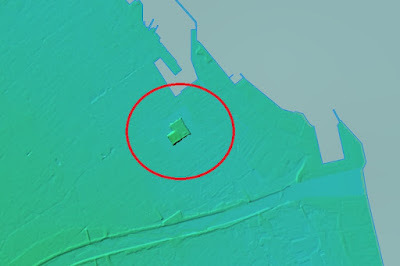 The backside of the castle was the sea, and in the secondary area there was a small anchorage area surrounded by walls thus ships could directly access into the castle. 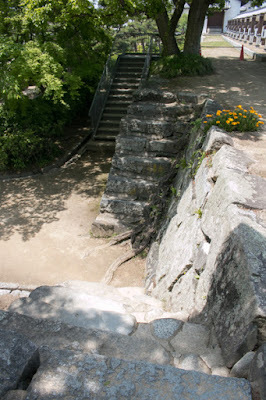 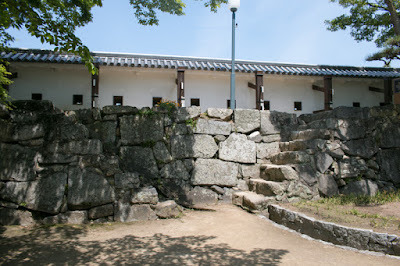 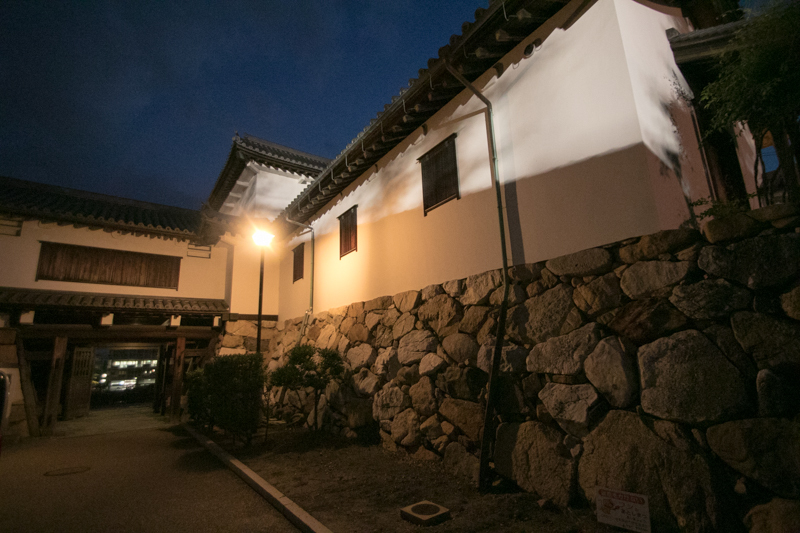 At central area, originally there was a five-story main tower, but this tower was transferred to Tanba Kameyama castle (Kyoto prefecture), which was built by Takatora under the order of Edo shogunate. 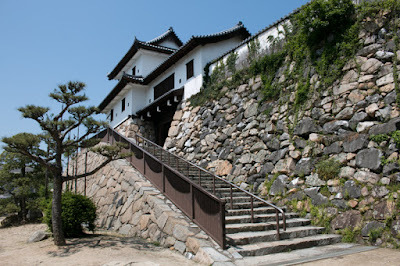 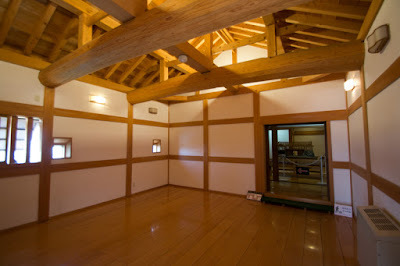 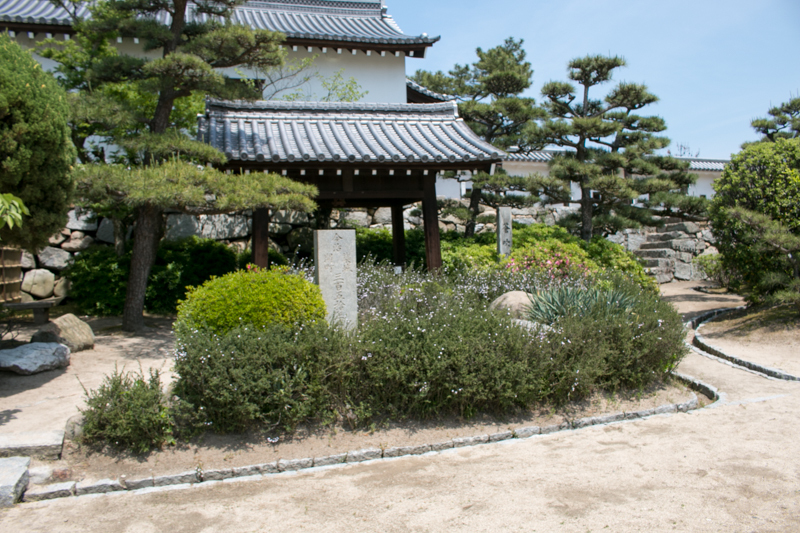 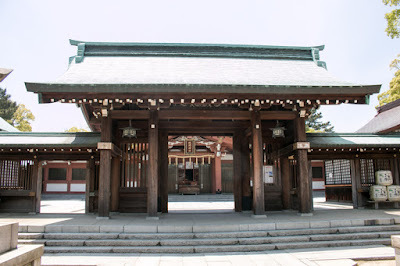 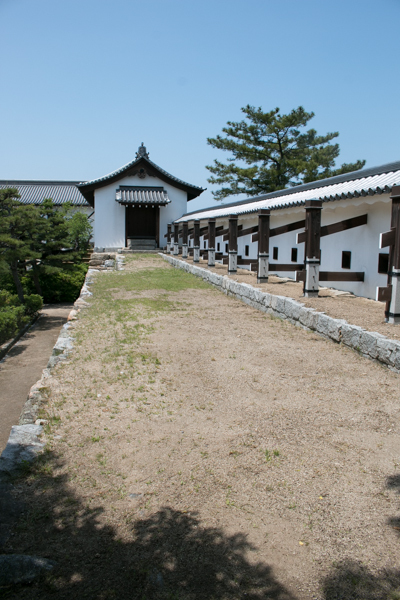 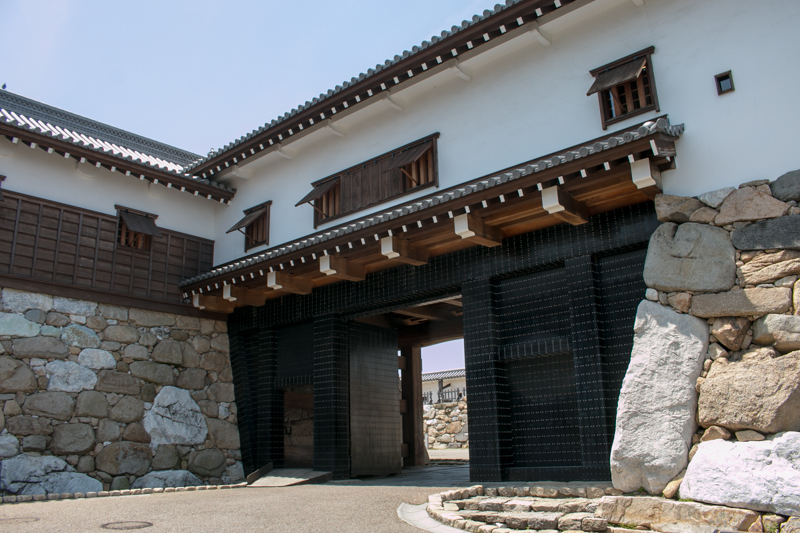 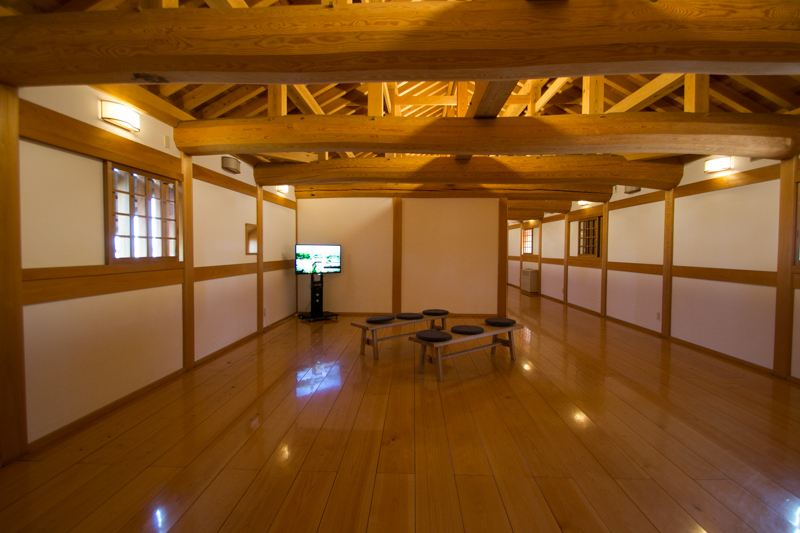 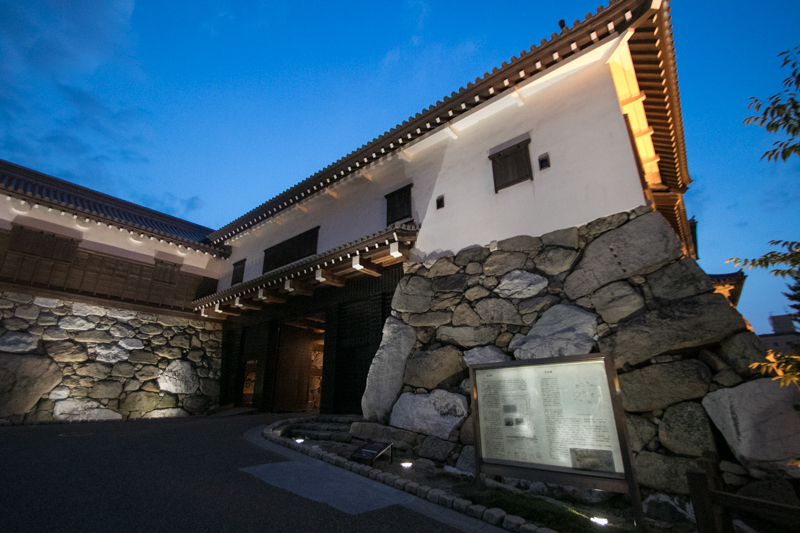 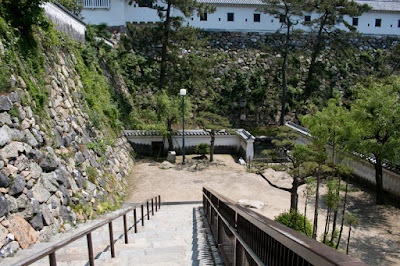 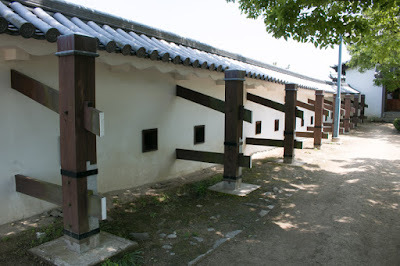 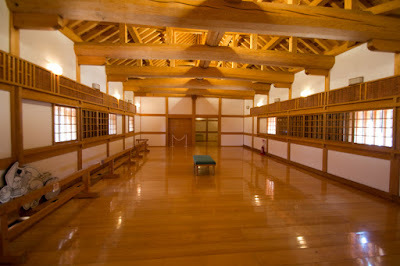 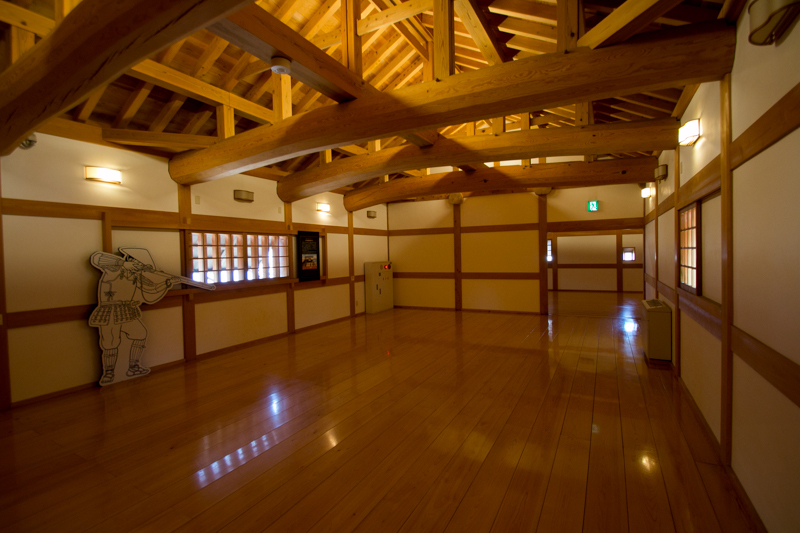 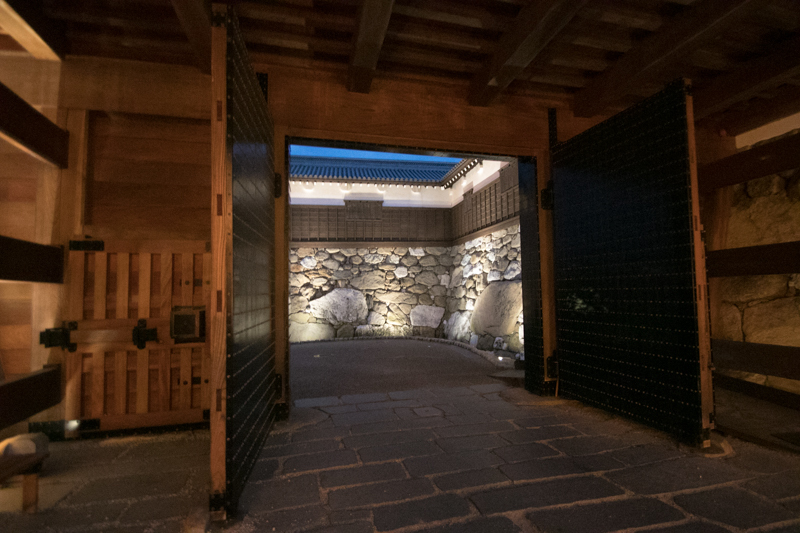 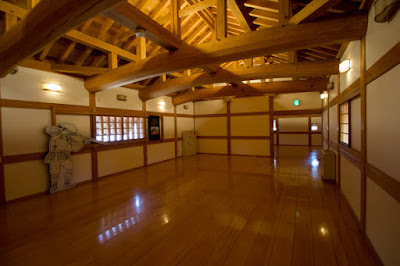 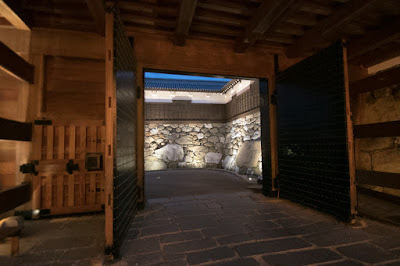 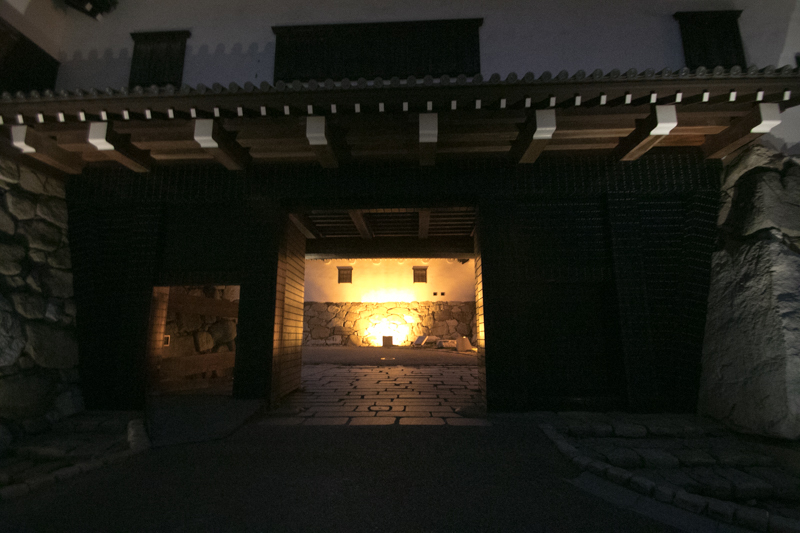 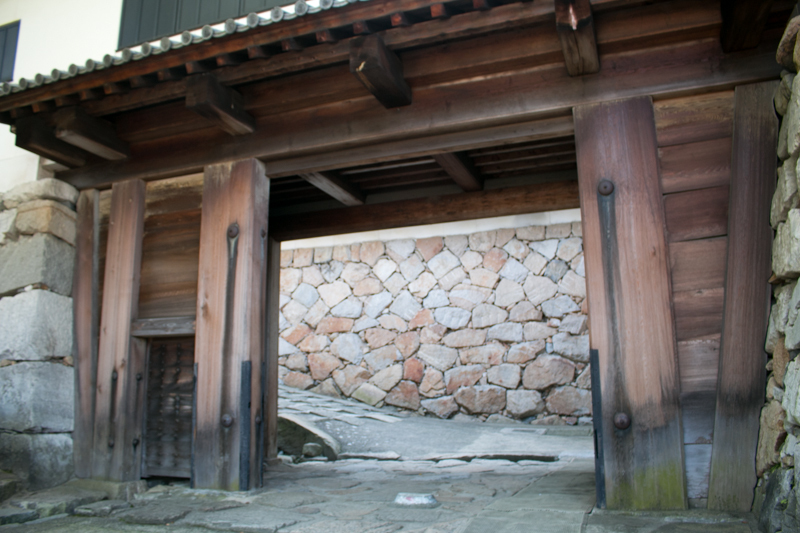 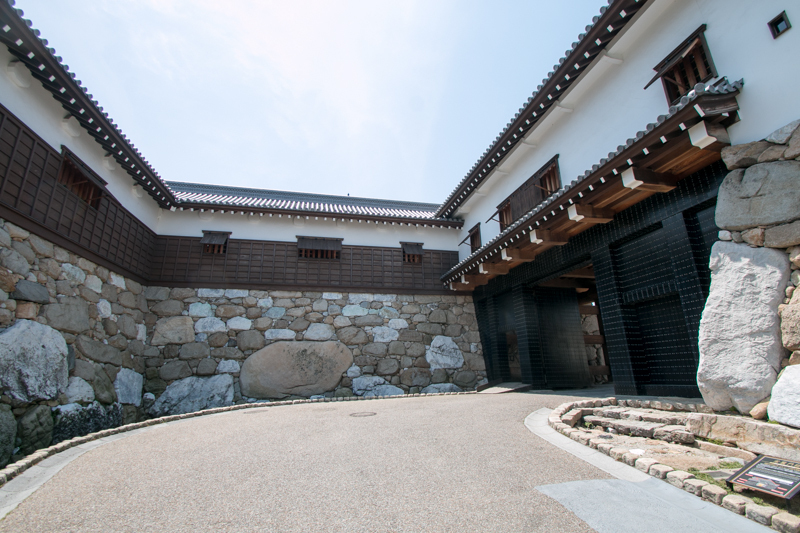 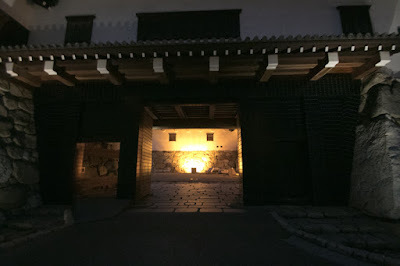 Just after the completion, in 1609, Takatora was appointed as a commander of Tsu castle (Mie prefecture), and Hisamatsu Matsudaira clan became the governor of Imabari. 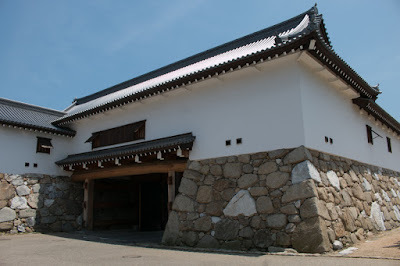 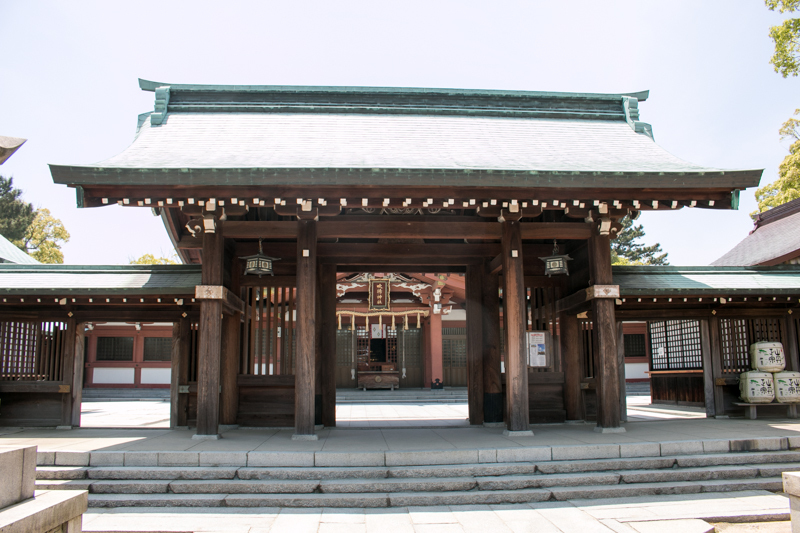 Hisamatsu Matsudaira clan was originally a lord of Chita peninsura of Owari country (Aichi prefecture). 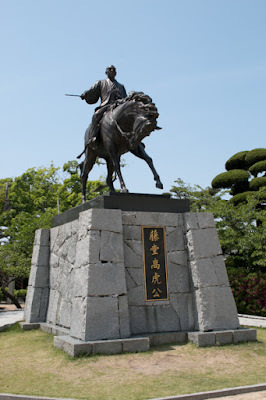 Toshikatsu Hisamatsu (1526-1587), the leader of clan at the middle of 16th century, married with Odai no Kata, the mother of Ieyasu Tokugawa but was forced to leave Tokugawa clan. As sons of Toshikatsu were applicable to brother in law of Ieyasu, they promoted in Tokugawa clan and were treated as hereditary retainers. 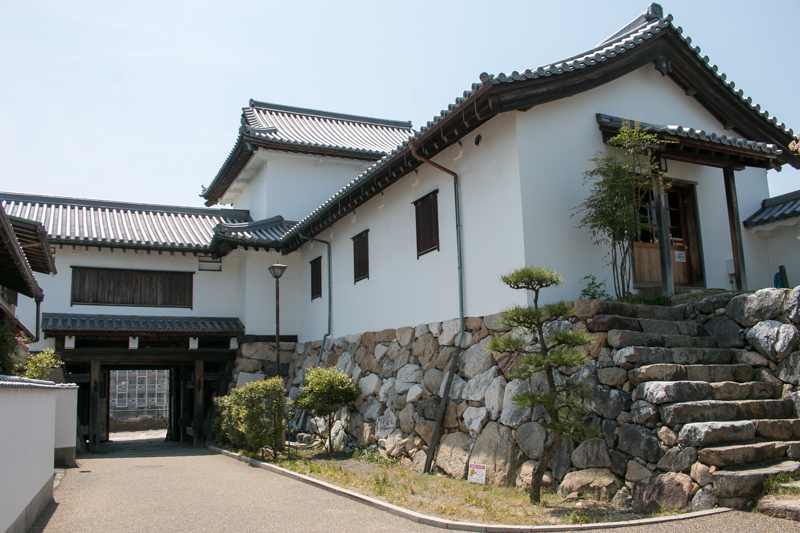 Hisamatsu Matsudaira clan kept this castle by the end of Edo era. 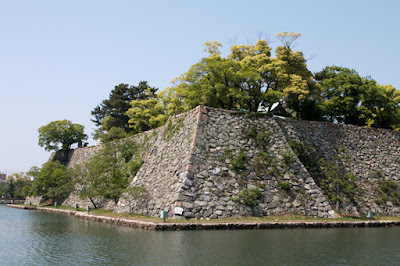 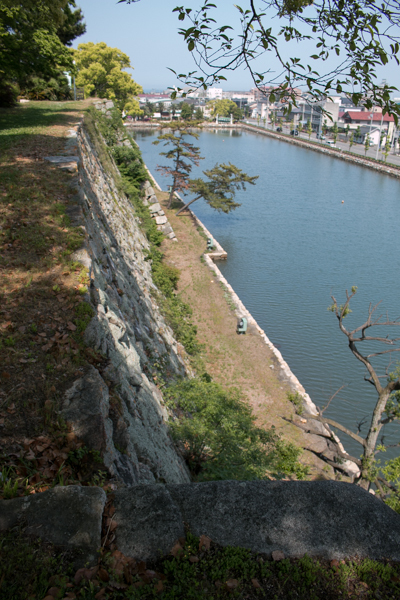 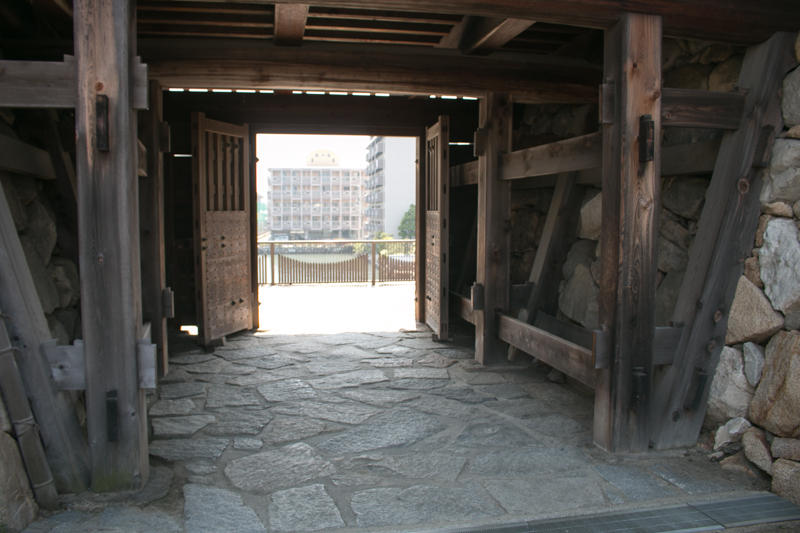 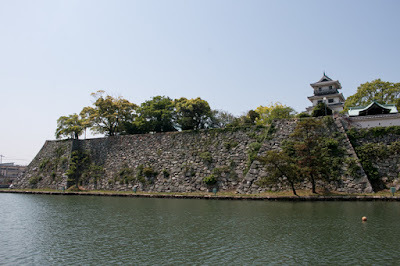 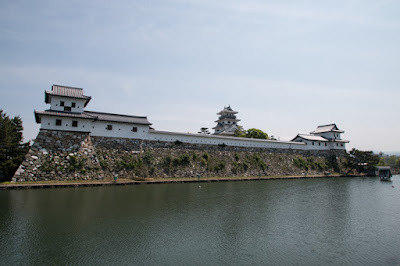 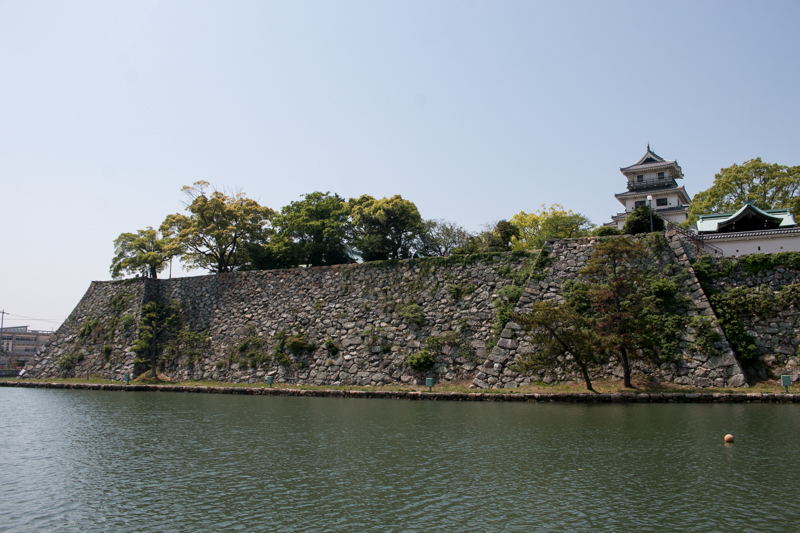 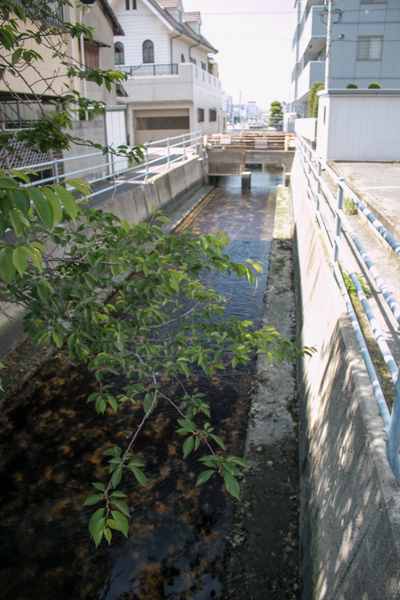 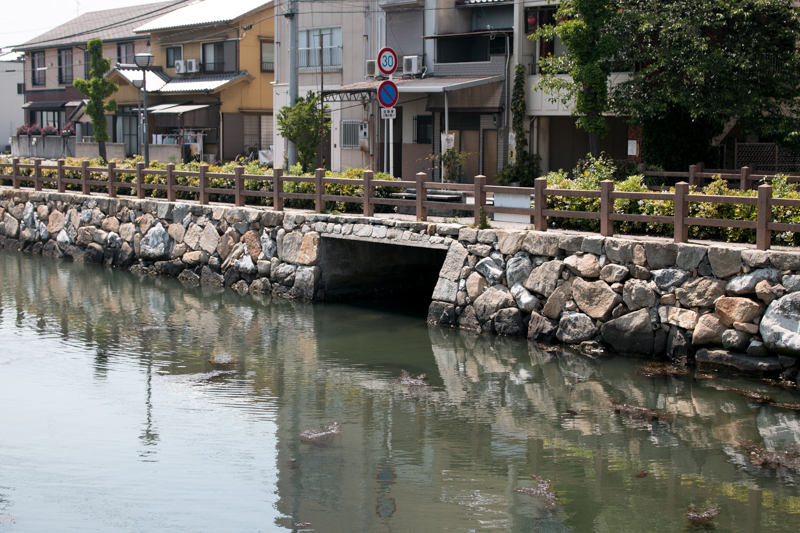 Subsequent to Meiji revolution, all building were broken and outer moats were reclaimed. 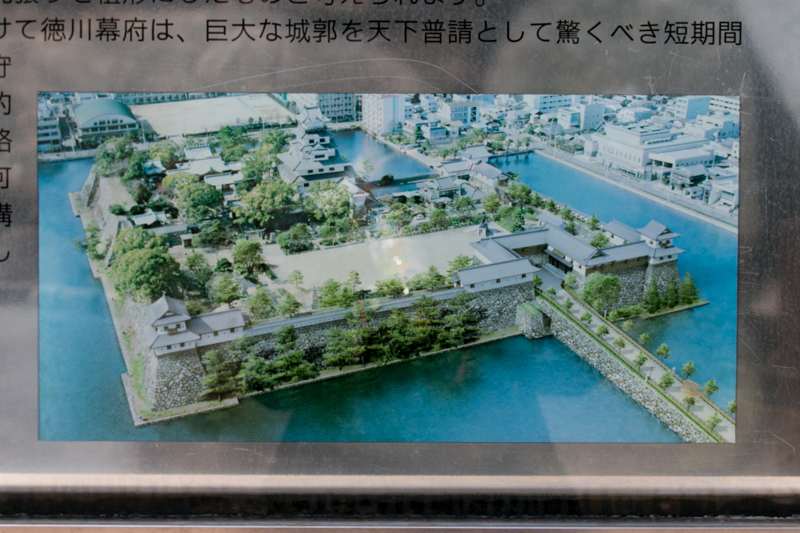 But central area and inner moat still remain an imitation of main tower and surrounding turrets were rebuilt in central area. 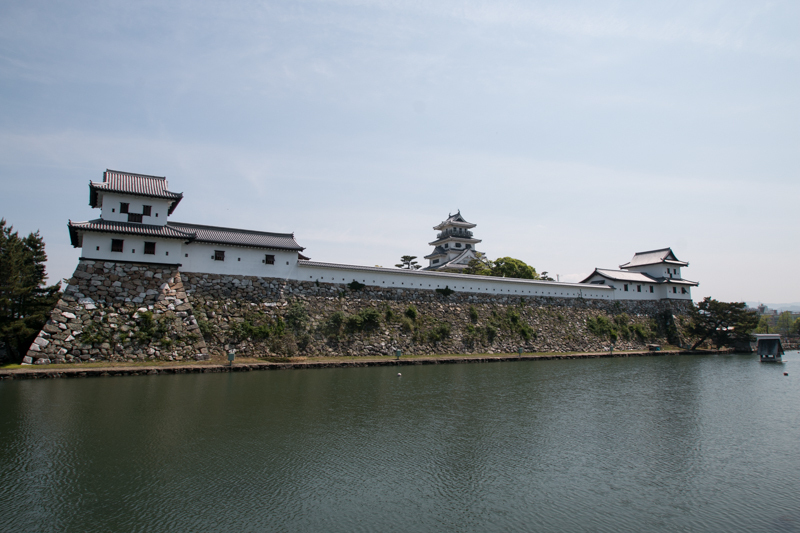 A white arched five story main tower shows its shape on the seawater of inner moat like the old days. 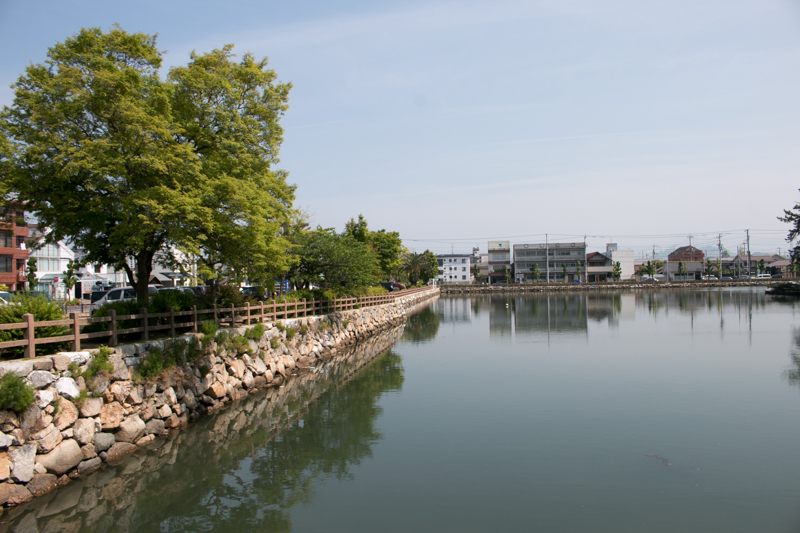 20 minutes walk from JR Shikoku Yosansen line Imabari station. 20 minutes drive from NIshiseto Jidoshado Expressway (Shimanami Kaido) Imabari interchange.